Earnest Desire, Confident Expectation, Firm Demand. 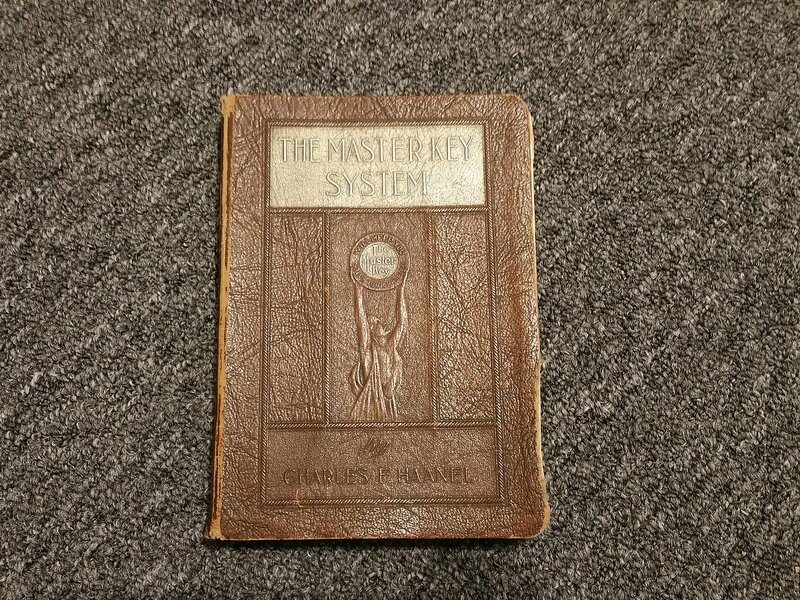 An early printing of "The Master Key System". That is really how to use the Law of Attraction in a nutshell. It all starts with desire. Haanel writes that "Earnest desire is the feeling". And without the feeling of earnest desire, the whole process doesn't work. Whenever it doesn't work, it seems that the hangup is getting the earnest desire. That's the usual point of failure for me. The desire has to be there. That it should be earnest should be assumed. The confident expectation and the firm demand should be earnest too. But I think that the earnest desire is one thing that if it's there, the other two things come more naturally. And that's what Haanel says, that, "Earnest Desire will bring about Confident Expectation..."
In other words, the confident expectation will kind of just come about on it's own if you can muster up some earnest desire. And that's how I've seen it happen. So it all starts with the earnest desire. And I think that's where the most attention needs to be given because, as Haanel wrote, the Confident Expectation will follow. It's as if once you've experienced the earnest desire for what you want, everything else will naturally follow. And lastly, there's Firm Demand. And that becomes so much easier and more naturally occurring when the earnest desire and confident expectation are already there, but that's basically what I said already. But the whole chain begins with Earnest Desire. Building that seems to easily result in the other steps falling in place automatically. If you wanted, you could try starting with firm demand. But I don't think that would do much to have a demand for something you don't have a feeling of desire for. I think most people could benefit from learning how to create earnest desire for what they want, as that seems to be the critical step that seems to be a prerequisite step for the other steps and it seems to be the one step that makes the others happen almost on their own. As far as the second step of "Confident expectation", I would say that if you are finding it hard to develop confident expectation then your earnest desire is not great enough. When the earnest desire is great enough, it becomes easy to expect what is desired. So if you don't feel like you're getting the thoughts of Confident Expectation that is necessary, I think you should go back to creating more earnest desire. The same would be true if you were not successful in creating firm demand - create more confident expectation. And since it all starts with Earnest Desire, the feeling, this means you have to feel it. Of course that's true, but if you're used to going through life as a merely "thinking person", or someone who tends to intellectualize a lot, you may not have the best feeling skills. Feeling skills can be developed by doing. Work on feeling more if you need help developing the skills of feeling. I know as a man, I am from a culture that discourages feeling. Many would say that men by nature think more than they feel, but if that is true, I think it's likely a result of man living in a world that discourages feeling. I do not think that a deficiency in feeling is an innate quality of man. The idea of earnest desire is very interesting to me. I'll be thinking about more that I can add to this. The "feeling" component of the law of attraction is very important, and I think it's important to realize how important it is to be able to feel.